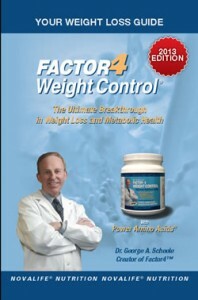 In addition to learning how to use Factor4 Weight Control® to lose weight the successful customer needs to understand the dietary tips that will lead to improved metabolic health and increased longevity. See Judge Andrew Napolitano’s successful weight loss experience with Factor4 Weight Control® and dietary shifts to a nutritarian diet resulted in his losing 75 pounds of excess weight, keeping his weight in check and, according to many of his fans, looking 20 to 30 years younger. See Judge Napolitano’s video journey here. As part of the journey to achieve these health care goals during the aging process, it is important to understand the importance of shifting dietary choices from animal-based foods toward plant-based foods. A discussion of the importance of this dietary shift involves some new concepts. Aging actually begins in the 30s and as it advances our metabolic rates slow-down, which makes it progressively more difficult to maintain normal body weight and fitness, particularly in a sedentary lifestyle. With the onset of menopause in women and andropause in men in the early 50s, we lose the protective effects of reproductive hormones on our metabolic health. It then becomes progressively more difficult to maintain a diet that was essential to growth and development during youth and reproduction. Particularly harmful during the process of aging is the fat that accompanies red meat like steaks, hamburgers and spare ribs. It is not the protein in these tissues but rather the fat content that leads to inflammatory changes and arteriosclerosis, which results in heart attack, stroke and premature death. In order to avoid fatty foods during the aging process it is necessary to begin to shift away from red meat and fatty fish. By increasing your intake of fruits, vegetables, lean fish and moderate quantities of poultry, you can avoid the intake of excessive quantities of saturated fat and cholesterol. When women and men approach age 50 and pass through menopause and andropause, respectively, it is even more important to shift from animal-based foods towards plant-based foods like fruits and vegetables, which contain little or no saturated fat or cholesterol. Protein remains important but large amounts of saturated fat should be avoided to optimize health during the aging process. The good news is that Factor4 Weight Control®, taken as recommended in shakes and smoothies, has already allowed us to increase our intake of fruits and vegetables. Smoothies made with berries, yogurt, veggies and more, as described on our blog-site, are enormously healthy and allow us to significantly reduce the number of calories in our diet without losing nutrient value. Factor4 shakes and smoothies tame our appetites, particularly for refined sugars and processed carbohydrates, which allows us to benefit from a low-carbohydrate diet, which avoids the deleterious effects of calorie-dense foods found in processed foods and the Standard American Diet. 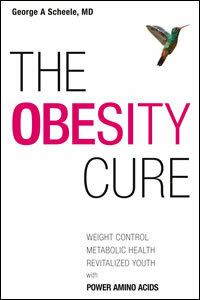 Dr. Scheele’s recent book, entitled The Obesity Cure details the toxic effects of refined sugar and processed carbohydrates on body metabolism. Fruits and vegetables are rich in micronutrients, including vitamins, minerals, and phytonutrients (polyphenols) like isothiocyanates, glucosinolates and carotenoids, which decrease the risk of cancer and improve the health potential of the diet. Fruits and vegetables also contain carbohydrates but these are complex carbohydrates that are slowly digested in the intestinal tract. Together with their rich source of dietary fiber, fruits and vegetables do not lead to high sugar levels that impair the sensitivity of regulatory hormones like insulin and leptin. In contrast to processed foods which provide an overabundance of calorie-rich sugar and carbs, fruits and vegetables provide a healthy source of slowly absorbed carbohydrates. The former is toxic, the latter is healthy. Furthermore, fruits and vegetables contain no saturated fat, which is abundantly rich in animal-based foods like pork and beef. This is the form of fat that leads to overweight conditions and obesity in human beings. However, fruits and vegetables do contain phospholipids which are necessary to maintain healthy cellular membranes. The goal here is not to become a vegetarian but to become what Dr. Fuhrman describes as a flexitarian, an individual who moves away from animal-based foods by shifting toward poultry, fish, fruits and vegetables. The goal of the flexitarian is to limit the consumption of animal-based foods to 20% or less of caloric intake. And flexitarians are selective about their intake of animal based foods, avoiding processed meats and embracing grass-fed meat, hormone-free poultry and wild-caught fish. 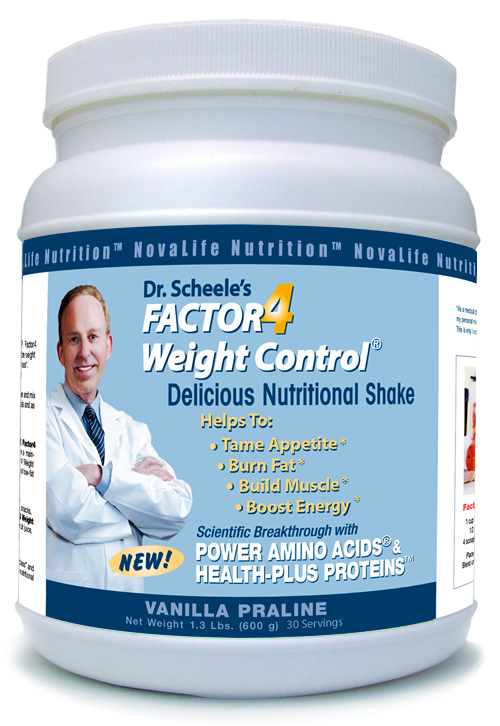 Daily consumption of Factor4 Weight Control® has the added advantage of preventing the protein deficiency that often follows diets rich in fruits and vegetables. Plant-based foods contain considerably less protein than animal-based foods because of the unique development of protein-rich muscle tissue in animals. 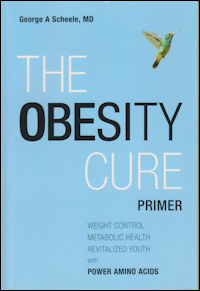 The role of Selective Protein Deficiency Syndrome in the development of chronic degenerative diseases associated with the Metabolic Syndrome has been discussed by Dr. Scheele in The Obesity Cure. 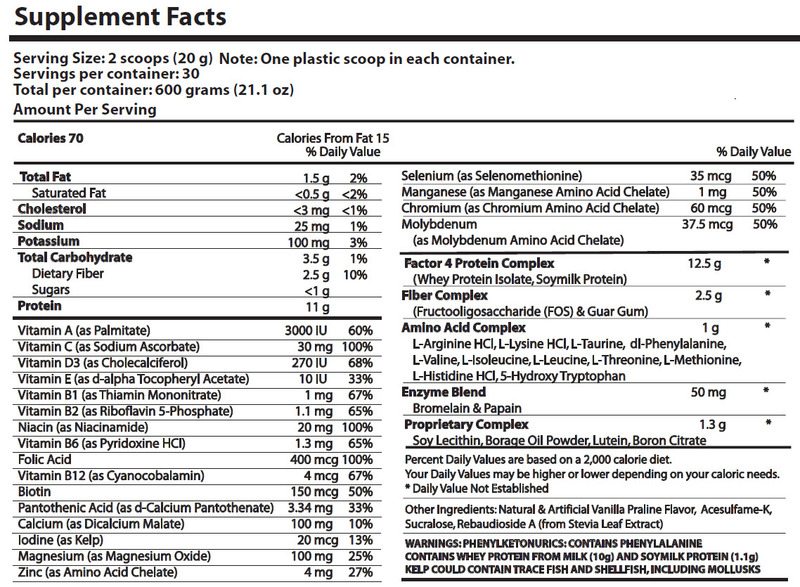 We now know that Factor4 Weight Control® with Power Amino Acids® and Health-Plus Protein™ is more than 10-times better than generic protein powders in supplying amino acids, the building blocks of protein, to the human body. Furthermore, an article published in 2014 on seven prospective studies involving more than 250,000 people showed that those who had the highest levels of protein in their diet had a 20% decreased risk of stroke compared with those in the lowest levels. Further analysis showed that for each 20 gram increase in protein per day (3 ounce serving of chicken, fish or beans) there was a further 26% decrease in risk of stroke. The findings published in the journal Neurology do not apply to red meat, which had previously been shown to increase the risk for stroke. The study of centenarians the world over shows that those individuals who reach 100 years or more in age avoid refined sugar, processed carbohydrates and animal fat. They do so by following the principles described in this article. In fact, restriction of animal-based foods is more effective than non-selective caloric restriction in enhancing life-span and health-span. The End of Dieting by Joel Fuhrman, M.D.